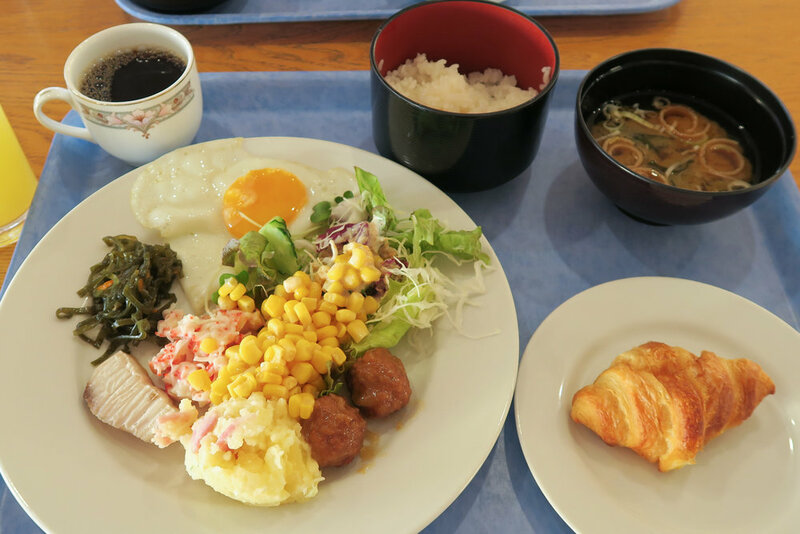 Food from our trip to Kumejima. O2 Happy (Oh Happy) Restaurant owned and operated by Japanese comedian Kojima Yoshinio's mother. Solid breakfast buffet from the Eef Beach Hotel and some Chanpuru. 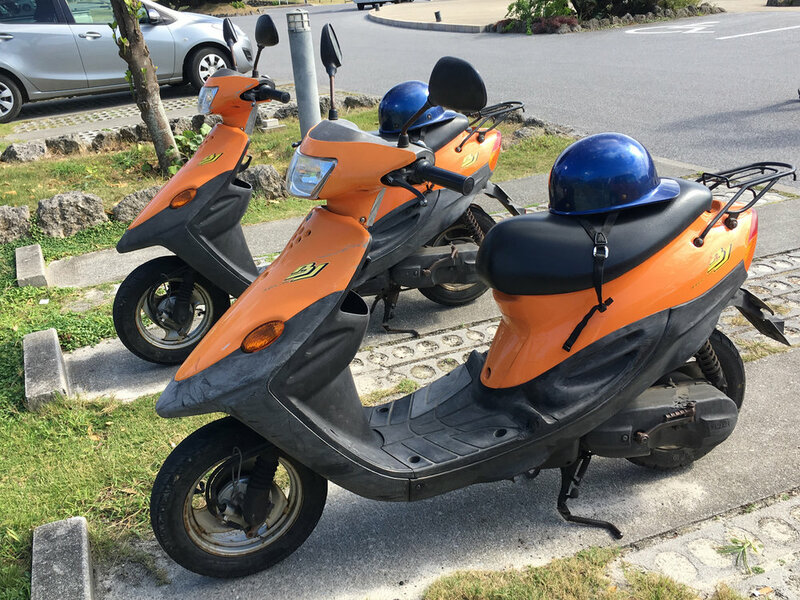 We also rented scooters to ride around the island. 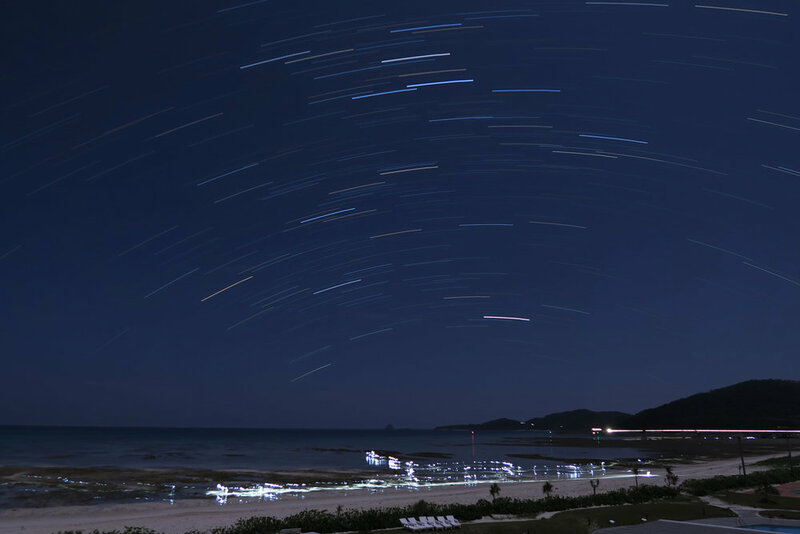 30 minute star trail exposure with people looking for crabs with flashlights at 2:00am. 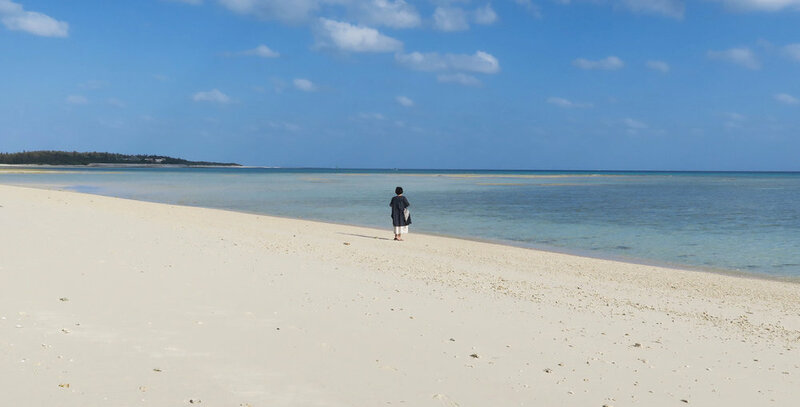 Eef Beach イーフビーチ on Kumejima 久米島 (Kume Island) is a 2km white sand beach. It is an ideal swimming beach but because it was November we just collected shells and coral. 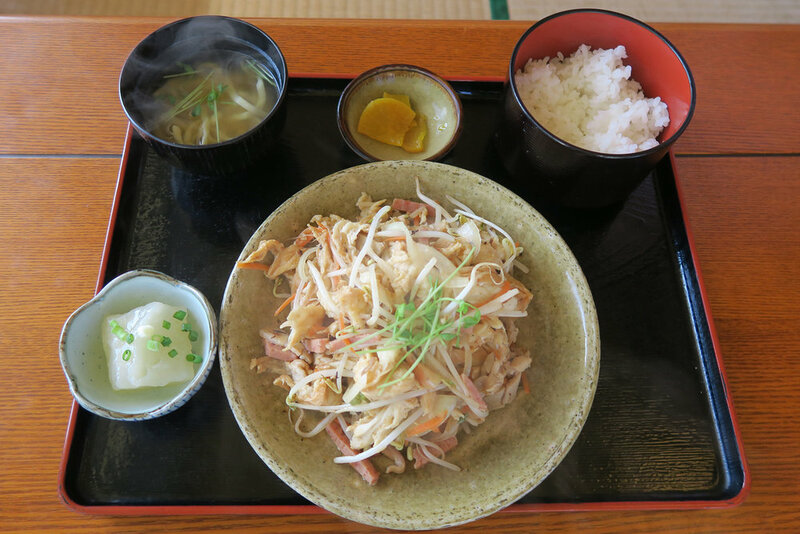 Tatami-ishi 畳石 (Tatami-Rocks) is a Nationally Designated Natural Monument located on the south coast of Oujima 奥武島 (Ou Island). A bridge connects Oujima with Kumejima. Andesite Magma cooled under a process called columnar jointing creating 1 to 1.5 meter pentagonal and hexagonal shapes. Called Tatami-Rocks because of the resemblance to the tatami mats of traditional Japanese home design. Water erosion has leveled and smoothed the tops of the rock structures.